Amherst stunning Kempton Woods. meticulously maintained custom built home by local Witte Builders. This manicured, professionally landscaped .55 acres with sprinklers makes this home a showplace awaiting its new owner. Brick front, plus 3 car garage, with over 4400 sq. ft. of living area, 11 ft. ceiling with crown molding and maple hardwood floors on first floor. The gourmet custom kitchen with island boosts granite and Corian counters, plus maple hardwood floors. First floor master suite with walk-in designer closet cabinetry. 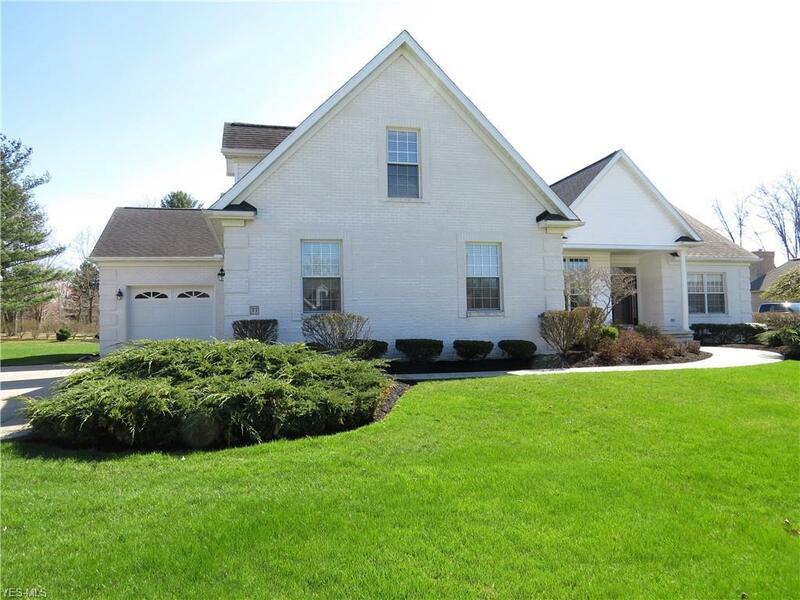 5 bedrooms, 4 full baths, finished basement and theatre room with round ceiling. Wet bar in basement with mirrored back bar. Outside custom covered patio/deck with gas fire pit. This home is conveniently located for easy access to major highways and downtown Amherst restaurants. This home is great for entertaining, holidays and special occasions.